THE future of France and Singapore's partnership lies in expanding economic links, French President Francois Hollande said in Paris at a dinner for his visiting Singapore counterpart Tony Tan Keng Yam. Bilateral trade and investment have been robust. Some 1,400 French businesses are currently registered in Singapore, while about 40 Singapore companies have entered France. But Mr Hollande said at Monday's state banquet in honour of Dr Tan, who is on a week-long state visit to France: "We must go further." He referred to the negotiations between France's Public Investment Bank, its state-owned investor Caisse des Depots and Singapore investment firms GIC and Temasek Holdings, which he said may soon lead to joint projects. When contacted in Singapore, both Temasek and GIC declined to comment. 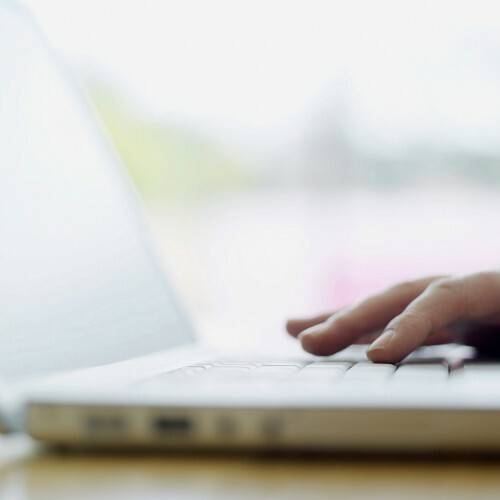 Caisse des Depots is dedicated to economic development in France, and one of its subsidiaries, CDC International, has been seeking foreign partners to create joint investment funds. Mr Hollande said opportunities also lie in transport, and cited the planned high-speed rail link between Singapore and Kuala Lumpur. In France, the high- speed Eurostar rail service connects Paris to London and Brussels. Aeronautics and urban mobility also hold potential, such as in the expansion of the French electric car-sharing service Autolib to Singapore, he added. At the dinner in the Elysee Palace, Dr Tan spoke of his hope that the ties of friendship between the two countries and their citizens will continue to flourish. He also recalled Frenchmen who had a hand in Singapore's early years. One was Father Jean- Marie Beurel, a Catholic missionary who, in 1852, established St Joseph's Institution, Singapore's oldest Catholic school and Dr Tan's alma mater. "We owe a debt of gratitude to these pioneers, whose legacies live on," he said. Today, more than 15,000 French citizens make Singapore their home, adding to the Republic's diversity and vibrancy, he added. Mr Hollande said he hoped the friendship between France and Singapore would continue to spur ties between Europe and Asia. France also remains committed to security in the Asia-Pacific. "We shall continue to work with ASEAN and Singapore on common threats, particularly terrorism and foreign fighters," he said. 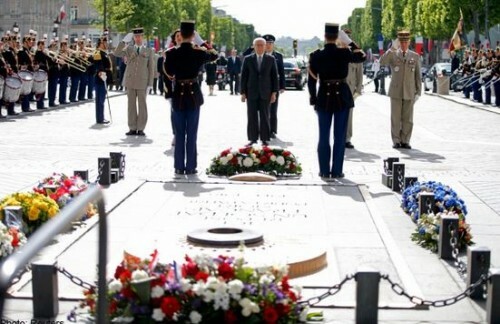 Yesterday - the third day of Dr Tan's visit - began with him laying a ceremonial wreath at the Arc de Triomphe. At its base is the Tomb of the Unknown Soldier from World War I, which honours soldiers who have fallen in war. Dr Tan was received at the monument by France's secretary of state for urban policy Myriam El Khomri. In the afternoon, he had a working lunch with Prime Minister Manuel Valls at his official residence, the Hotel Matignon. Both were satisfied with the state of bilateral ties and noted that agreements signed this week will pave the way for co-operation in new areas such as space technology, nuclear safety and cyber security. They also discussed common challenges, including climate change and religious extremism. Dr Tan then visited the laboratory of Professor Serge Haroche, who was awarded the 2012 Nobel Prize in physics, in the College de France. The professor is part of a team from the Kastler-Brossel Laboratory, a prestigious research facility with links to the National University of Singapore and Nanyang Technological University. The lab currently has two Nobel laureates on its staff. The other is Professor Claude Cohen-Tannoudji, who was awarded the Nobel Prize in physics in 1997. Both were scheduled to meet Dr Tan.